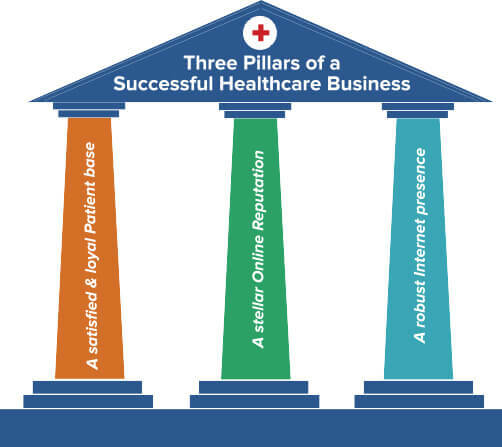 Patient satisfaction is important in measuring the success of your healthcare practice and should be a focal point in any marketing strategy…that’s why it’s Pillar #1 in our 3 Pillars strategy. If your patients aren’t satisfied with your care, then they won’t remain your patient and new patients will likely not select you. Providing exceptional patient satisfaction is essential to drive new patients and retain your existing patient base – any marketing efforts will be rendered ineffective without it! At GMR Web Team, our healthcare marketing strategy is unique as it puts your patients at the center. Our healthcare marketing plan is integrated with programs that enhance patient experience. Providing your patients an outstanding experience throughout their patient journey convinces them to become advocates of your practice. We have a proprietary system in place to help you manage and improve patient experience and continuously get positive reviews from your happy patients, which will in turn help convince new patients to select your practice (84% of people trust online reviews as much as personal recommendations). Monitoring patient satisfaction will help you understand the actual needs and pain points of your patients. Patients make an honest assessment of your practice from the time they schedule an appointment to the continued post care communication with you and your practice. Addressing their pain points, where needed will improve their experience and help develop a strong, longstanding relationship with them. GMR's proprietary sentiment analysis tool gauges patient sentiments and gives detailed insights into the feelings and emotions of your patients. Using this information, we will help you conduct marketing and management programs, including referral programs, patient outreach, patient recovery, and more. 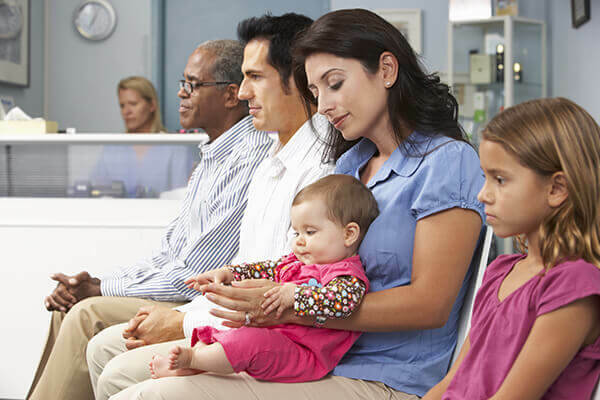 Patient satisfaction plays an important role in practice reimbursements. 30% of the reimbursement is dependent on how your practice scores on the Hospital Consumer Assessment of Healthcare Providers and Systems (HCAHPS) survey. The HCAHPS survey is the industry's standard in patient experience surveys. Our strategies will help you improve the HCAHPS score of your practice by giving you a true picture of the satisfaction level of your patients, and helping you address potential issues in your care. Even if your practice doesn’t participate in HCAHPS (i.e. dental practices), managing your patient satisfaction will only boost your practice’s standing within your industry. We understand that the success of your healthcare practice depends on a satisfied and loyal patient base. This is why our healthcare digital marketing strategies put your patients at the center of everything we do. It all starts with improving patient experience! Along with GMR’s proprietary patient experience management strategies mentioned above, we’ll also build consistent patient loyalty through regular patient outreach – newsletters, birthday e-cards, immediate responses on social media, instant management of unhappy patients, and more. Communicating with your patients consistently and empowering your staff to provide quality care is a key component of patient experience and should be present in any marketing plan. GMR has developed patient satisfaction benchmark reports to provide you detailed insights into the trends of patient satisfaction in your industry. We’ve aggregated patient satisfaction data from our proprietary software and analyzed it to give you a clearer picture of where your patient experience should be.